Everyone seems to have a pretty strong idea of what they feel makes a perfect Macaroni and cheese dish. This is usually the case with dishes that bring back powerful childhood memories, that have the ability to transport you back to a comforting time. The name for, what is essentially the same basic dish, also varies geographically. Mac n Cheese, Macaroni and Cheese, Macaroni Pie, Macaroni Pudding. To me it’s Macaroni Cheese, that’s what it was called growing up in good old Blighty. 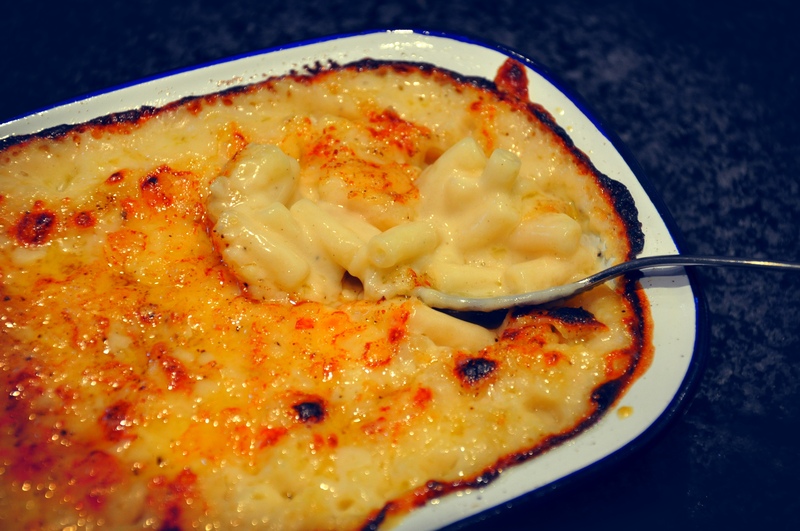 The dish nowadays is probably most thought of as an American dish, as ‘Mac n Cheese.’ It is served in most steakhouses as a side order, there are even dedicated Mac n Cheese restaurants. The origins of the ingredients suggest Italy, and indeed future US president Thomas Jefferson mentioned encountering Macaroni in both Paris and Italy. He even purchased a machine for making it, before giving up and importing the stuff. In 1802 he served a ‘macaroni pie’ at a state dinner. The packaged ‘stir and serve’ market is dominated by Kraft’s macaroni and cheese first introduced in 1937 during the great depression, it was an instant success with hard up Americans, its popularity remains today. My mother would lodge American students when I was growing up, they usually arrived with a box or two of Kraft Mac n Cheese. It’s not something I remember trying, I can’t see how it can be anywhere near the real thing. It is believed that the dish was first brought to England in the 14th century from mainland Europe, and is mentioned in several books over the next few hundred years. There are a couple of recipes for macaroni involving cheddar and parmesan in the English cookery classic Mrs Beeton’s Book of Household Management originally published in 1869. A little note on parmesan here. It is mentioned in many recipes in Mrs Beeton’s, yet in England in the 1960’s it was practically unheard of. Notably re-appearing on our dinner tables in the form of dehydrated dust that smelt of puke. My first experience of ‘vomit cheese,’ I remember well. Nigel Slater captures his memory of his parmesan moment beautifully in his brilliant book ‘Toast’. How strange that, as a country we had access to this classic ingredient one hundred years earlier, and yet it had to be rediscovered. I would have to think that its loss was most likely due to two world wars. War, it does wonders for technology, but is terrible for the palate. As mentioned above, people’s opinions of what makes the best macaroni cheese likely stem from their earliest memories of it. I’m no different. My mums dish was a simple one, no cream, no breadcrumbs on top, no bacon, just a simple bechamel sauce and good proper farmhouse cheddar. I’m definitely in agreement on the no cream bit. I want to be able to shovel down a vat of this stuff on the sofa, and the cream would simply make it too heavy. 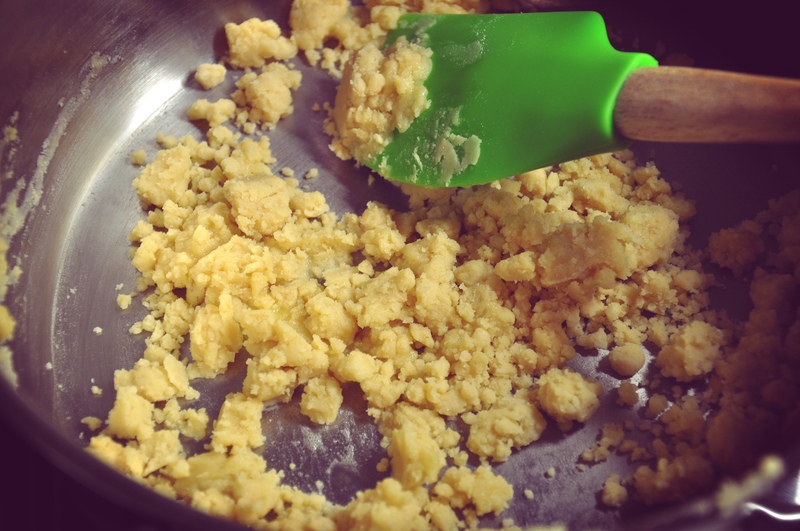 Breadcrumbs add a nice crunchy texture if sprinkled on top and baked with parmesan. 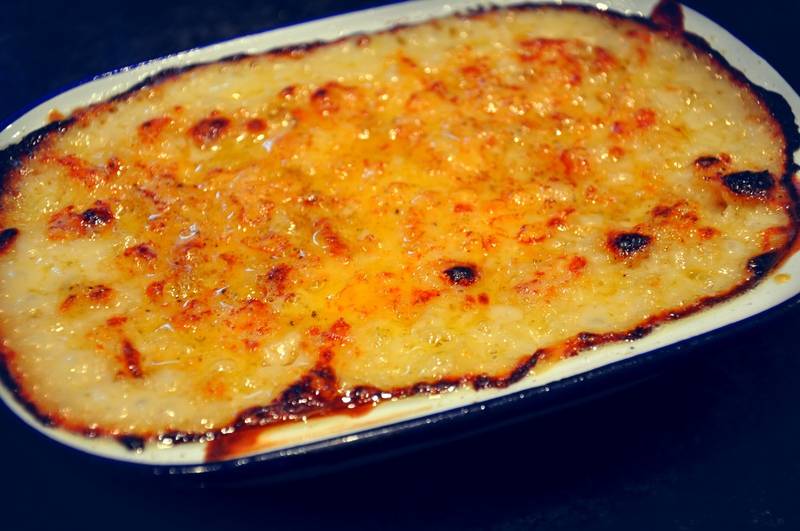 Alternatively you can blend cheddar and flour to create a savoury crumble topping and I do it for a change, but its hard to beat gooey cheese. Anyway, this is what I consider to be ‘classic’ macaroni cheese. more grated cheddar and parmesan to sprinkle on top. 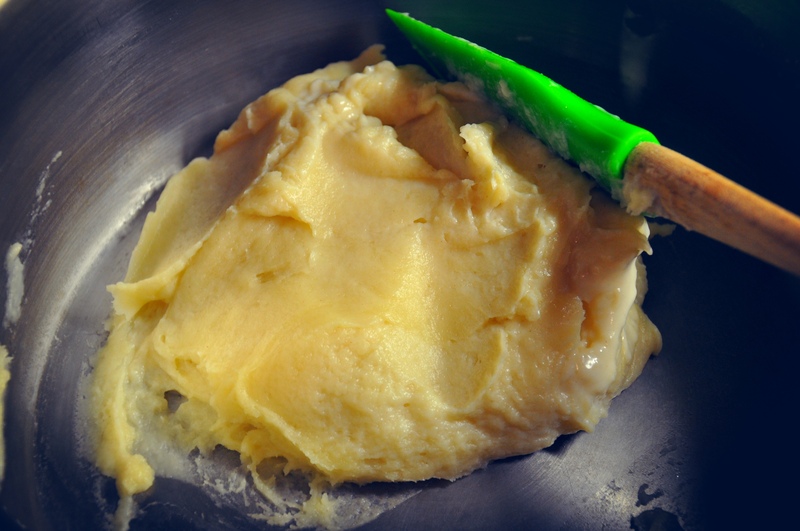 stir until all of the butter is absorbed and the mix is crumbly, allow to cook on a low temperature to cook out the raw taste of flour. 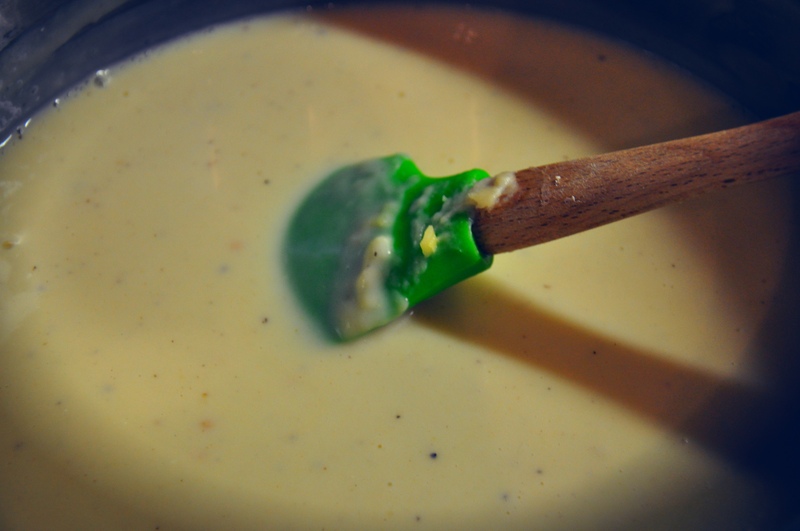 add milk, a little at a time and stir continuously until it is absorbed, do not add more milk until the previous amount is fully absorbed or you will likely produce lumps. 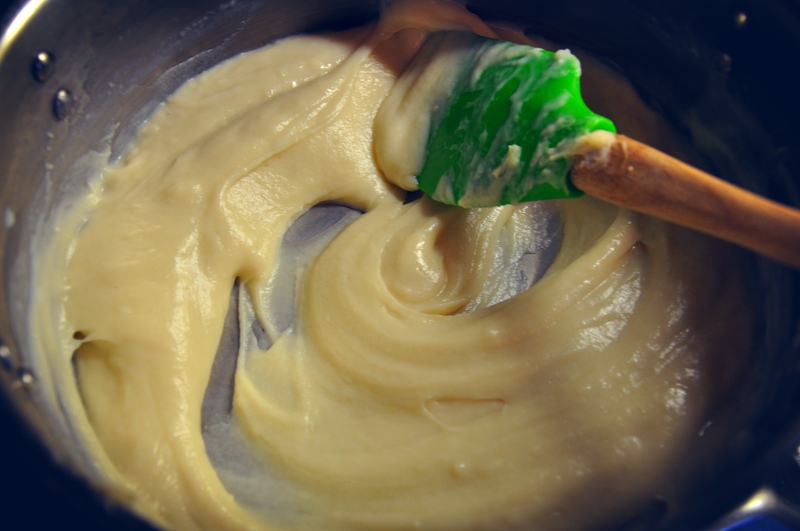 slowly, stage by stage, the mixture will produce a thick paste, and eventually a smooth velvet, custard-like consistency once all the milk has been added. add the grated cheddar, the mustard powder, worcester sauce and pepper and allow to slowly melt before checking the seasoning and adding salt if needed. add the egg yolk and stir in, it really enrichens the sauce without making it heavy. 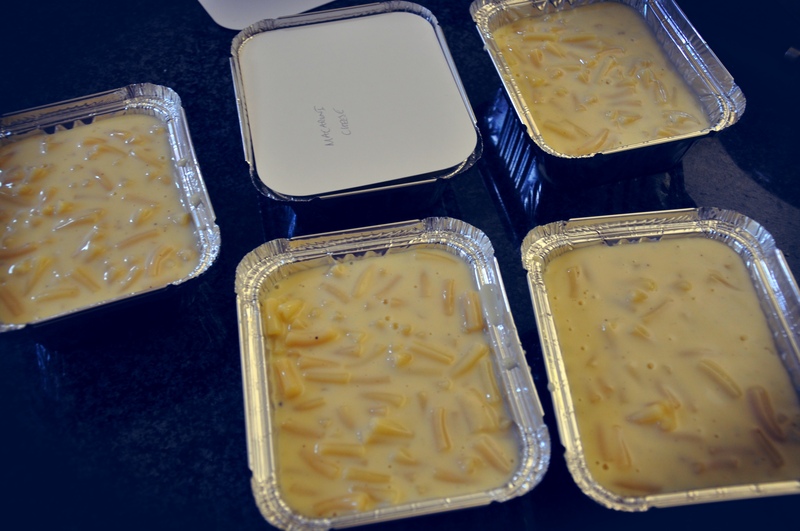 cook macaroni as per packet instructions, ideally al dente (slightly undercooked) as it will continue to cook in the oven and soak up the sauce. mix into the sauce, spoon into a suitable dish and bake in the oven for 20 minutes, use the grill to crisp up the top for the last 5. Alternatively divide into containers for freezing and baking on another day. Eat, unashamedly on the sofa, in front of the telly. You can add any other ingredients that take you fancy. Bacon is a classic addition and tuna also works surprisingly well (think tuna melt.) Veg-wise leeks work well as does broccoli and take a little of the guilt away. Lets be honest this is comfort food at it purest and most indulgent, it’s not healthy. It’s for when you have had a crap day at work, been dumped or watched the last episode of Breaking Bad and need a pick me up. Keep a batch in the freezer for emergencies.